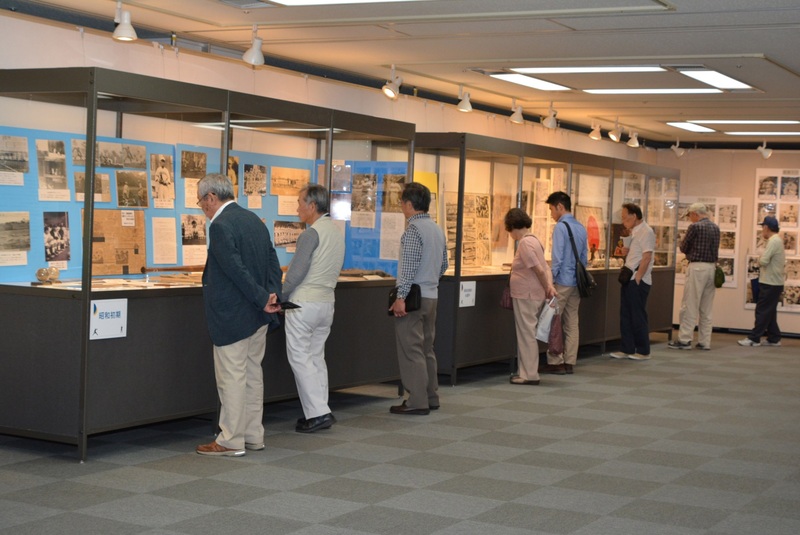 Funabashi City in Chiba Prefecture mounted an exhibition in Funabashi from May 4 through 8, 2016 to display collection of over 700 important historical materials of Japanese baseball before the World War II. The collection of some 4,300 items had been on storage or exhibit at Yoshizawa Baseball Museum in Funabashi City until its closure in March, 2014 and were donated to the City along with the artworks owned and collected by Mr. Zenkichi Yoshizawa (102) using his own private fund. Majority of baseball related materials deal with Tokyo Big6, the oldest baseball league (established in 1925) in Japan that features six prominent universities in the Tokyo area. 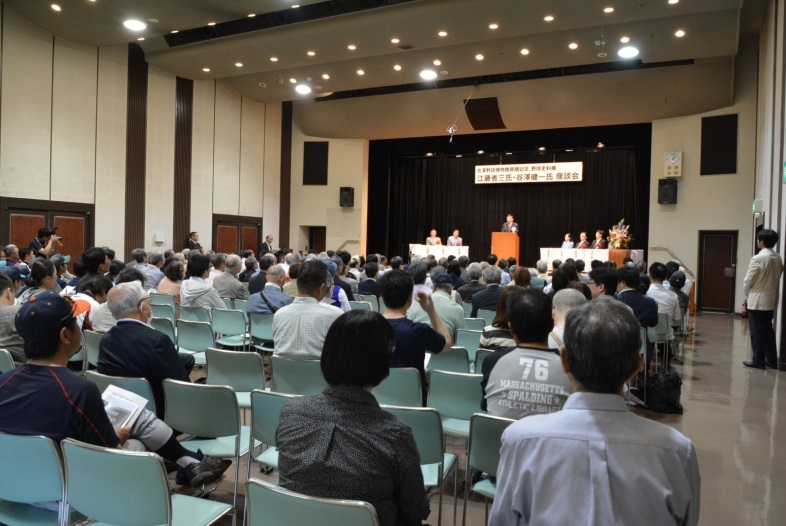 During the exhibition, Funabashi City hosted a talk show with a packed house of 250 on May 7 by Shozo Etoh (1965 Keio Univ. and Yomiuri Giants) and Ken-ichi Yazawa (1959 Waseda Univ. and Chunichi Dragons). Chiba Prefecture has produced a large number of Japanese baseball greats including Yazawa. Kenji Yamazaki, Vice Mayor, disclosed at the forum that the City plans to open a permanent exhibition sometime in 2017 at the Funabashi Arena, home of Funabashi Jets basketball team. Big6 comprises The University of Tokyo, Rikkio Univ., Waseda Univ., Keio Univ., Meiji Univ. and Hosei Univ. This athletic conference became the breeding ground of Japan’s baseball celebrity culture and fandom and the reservoir of top-flight talent before WWII. (from ”Transpacific Field of Dreams” 2013 by Sayuri Guthrie-Shimizu) All of their official games are played at Meiji Jingu Baseball Stadium in two seasons, Spring and Autumn.